We have all got it right, Brexit will ultimately, not result in Great Britain leaving the EU. Nevertheless, Brexit is paralysing the European decision-making system. What we are currently seeing is a kind of EU political takeover which looks nothing like democracy, and much more like a “coup d’etat”. In light of the cataclysmic crisis which has struck the world and the EU in the past 10 years, it is a fact that the weak governance provided by the current European technocratic system is no longer sufficient. However, the model of European governance, towards which “Brexit” is leading us, is the “National-Europeist” Europe which Franck Biancheri argued would occur if the EU failed to anchor its decision-making in trans-European democratic legitimacy: the Europe of the “grandsons of Hitler, Petain, Mussolini and Franco”, as mentioned in his visionary article, first published in 1998. This will not only signal the death of the EU, but more so, the death of its founding values, principles and objectives, those which made us cherish European integration for the last 60 years: peace, independence, democracy and prosperity. The democratisation of the European project is, therefore, of primary importance now. 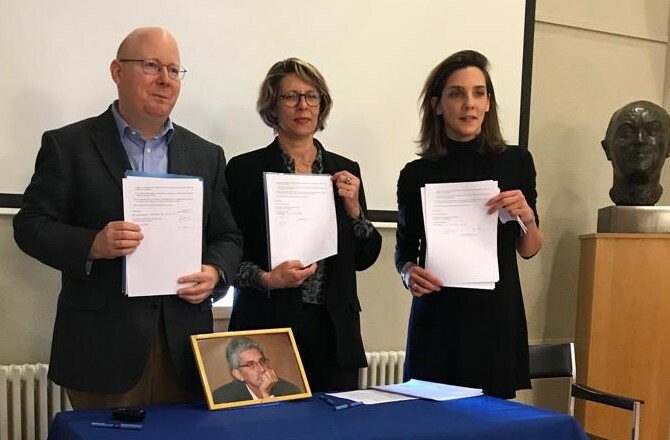 It is about opening up our national boundaries to liberate citizens from their national prisons, it is about adding a European dimension to their political aspirations, it is about creating the conditions for a “European democratic coup”.
. In this respect, we need to recognise that the EU is a political construction. Once political union is accepted, democratisation is therefore not only desirable, but imperative.
. Having said that, we must admit that the European legislative elections do not constitute a validation of our continent’s great political values of democracy: the mere aggregation of national elections didn’t yield a pan European debate. In recognising this, the EU has the right to develop something more convincing than this in terms of European democracy.
. As for referendums: we must stop asking citizens if they are for or against Europe. The European construction has been underway for 60 years now. A fish cannot be asked whether it likes water or not without rendering it crazy and driving it to commit suicide!
. How could Europe help rebuild the ability for financing infrastructure, hospitals, and schools … that used to be the pride of our continent?
. How could Europe revive economies in a way that is beneficial for all Europeans?
. How could Europe define, once and for all, its boundaries and hold them firm , without running the risk of becoming a fortress?
. How could Europe positively contribute to reducing the current global geo-political tensions? As in any democracy, the conditions must be created for the expression of differing viewpoints so that citizens can exercise their right to choose. Democracy is not a bi-polar yes and no construct. By acknowledging this, the conditions for a real, and constructive debate can be established, a debate that is enriching for citizens … and their leaders, and a debate that can reverse the current movement. A “European democratic coup”, is ‘simply’ a European election, a real one, in which different visions of Europe face–off instead of the competing agendas of national parties of the constituent states; an election inviting citizens from different countries to a common debate and appointment (a single constituency, trans-European lists and programmes proposed by pan-European parties, joint campaign, identical vote weights). If you want to do it, you will find a way to do it. Will the 28 states agree on such a project? It would be enough if just a few central countries agreed on this to generate a healthy momentum for a trans-European debate. Others will join the initiative. After all, the EU stands for enhanced cooperation … why not in the field of democratisation as well? Are the treaties stopping you from acting? In this case, the treaties are traitors that must be bypassed. The National-Europeists will soon take charge of these treaties anyway. And no one will mourn the death of “treatocracy”, created to address the lack of vibrant political governance in the EU. Are there political parties ready to compete in a trans-European election? The only way to encourage trans-European movements that the continent needs for its democratisation, is by launching a trans-European election. Over the last three decades, Erasmus generations have been preparing to organise such an election. You don’t trust the European citizens who risk giving a “wrong” vote? It is not the citizens who vote wrong, it’s the questions they are asked which are wrong. It is time to ask Europeans pan-Europe questions and questions on national interests to French, Germans, Italians … . This is what will make the difference. There’s nothing to elect in the EU? Why not ask us to vote for Euroland leaders? We number 300 million, inseparably bound (as proven recently by the events in Greece) by our common currency, this common ‘sovereign’. Is there any better launch pad for a political and democratic union of our continent? Give us the election we need and we will give our best! Be the first to take up the challenge of the invention of transnational democracy, which the world desperately needs, to keep from falling into an otherwise, inevitable nightmare. Franck Biancheri campaigned ever since he was a college student and until his death, 30 years later in 2012, for European democratisation. He prophesised the failure of the common peace and prosperity project that characterised the years following Second World War, if the EU failed to democratise adequately. 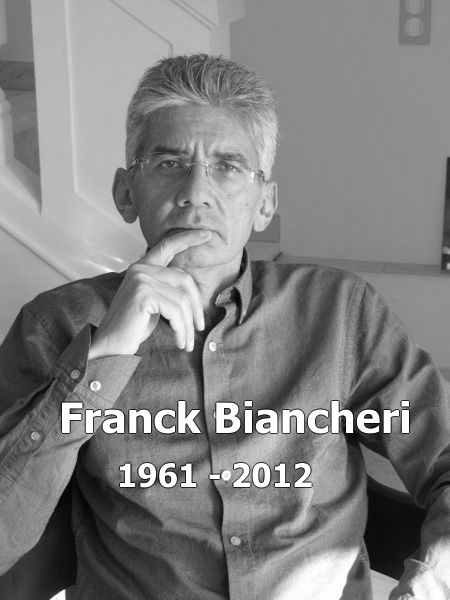 Sharing Franck’s views, his friends and former companions came together to create theFranck Biancheri Network,in order to continue Franck’s life-long work. This letter, edited by the afore-mentioned network, is part of the proud line of reflections and actions of the mentioned network. C’est vrai, mais il faut d’abord poser les problèmes qu’on peut résoudre et dont beaucoup dépend. +et de partager les bonnes pratiques. Merci beaucoup pour votres idees. Je suis d’acord. Il faut que les citoyens de l’EU nous allons a la reche rche des valors fundationelles et aussi les parties nationnelles. Il faut agir au plus vite. Différents tiraillements dans presque tous les pays du monde sont à l’oeuvre. L’espoir est le seul moyen de lutter contre cette vision négative inexorable. Trump en est un exemple parmi tant d’autres dans nos pays européens. La structure de l’ue est une tentative de plus qui se termine, il en restera une avancée. Vouloir construire rapidement une structure collective en refusant le démos c’est construire un NON qui grossit, grossit, grossit. La fin de cette structure n’est évidemment pas la fin de l’Europe. C’est la fin des Dragi-goldmansach, des Juncker-paradis fiscaux des Merkel-et ses rentiers, des Sarkosy-nypd. Tous écraseurs sans vergogne des peuples Grecs, Portugais… au profit d’une monnaie de singe crée par des planches à billets chauffées à blanc, s’appuyant sur aucune contre valeur, la suite est évidente, une terrible hyperinflation. L’Europe du démos sera plus lente, tâtonnera un peu plus, mais il n’est pas d’autre voie perenne. Populiste certainement oui. Si ce n’est le peuple c’est qui ? l’enarchie, l’oligarchie, la monarchie, la financiocratie… “Les peuples ne peuvent changer les traités” en cette phrase tout est dit de l’ue. STOP on efface et on recommence.